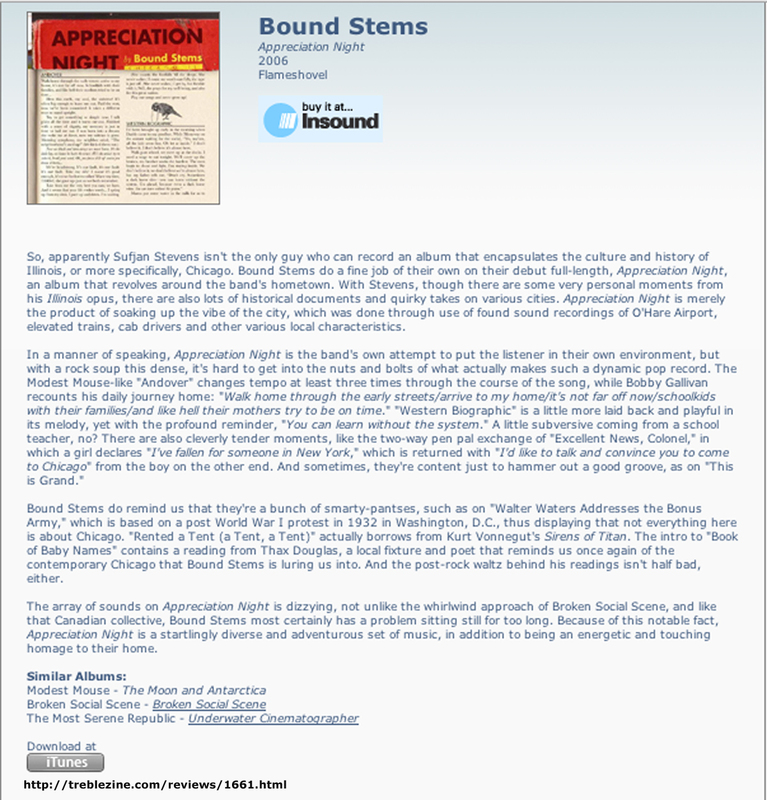 In early 2006, the members of Bound Stems decided that the only sensible thing to do was quit their career jobs and head out on tour. This was a big leap of faith: it takes years of dedicated work to become a high school history teacher, or to stay on course as a lab tech, or to run the art department of a comics publishing house. 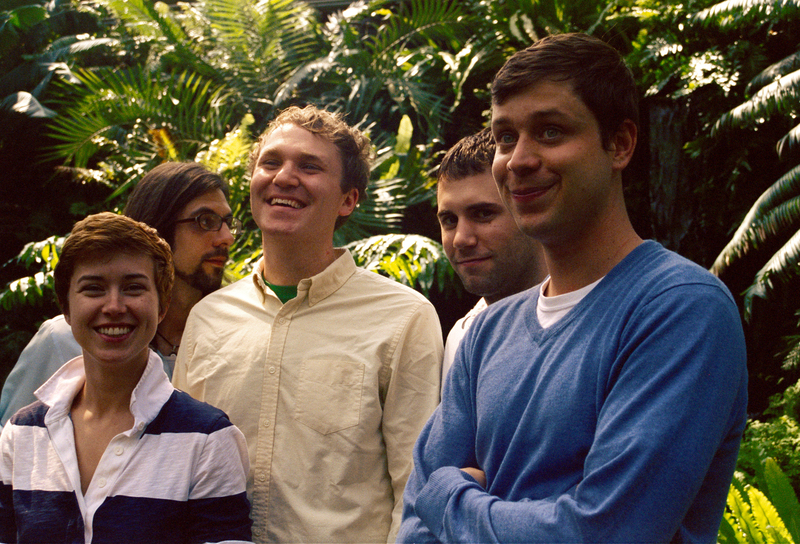 The album they'd just finished making, Appreciation Night, was set to follow their touring for their first Flameshovel release, The Logic of Building the Body Plan EP, and with the summer ending, they decided to go for broke. 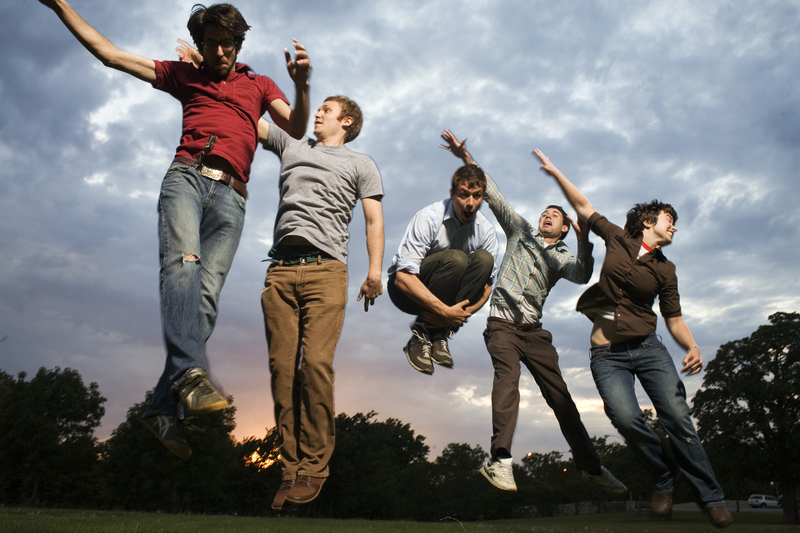 They took their music nationwide, and it got noticed-in the New York Times, Spin and Entertainment Weekly, and they got linked to and blogged about enough for even a bit of backlash. Summer touring blurred into fall and winter touring. It was a life of making music. And then, somewhere in Baton Rouge, Bobby figured something out: his role as a teacher was intrinsic to writing songs, and it didn't make sense for him to cut himself off from the source. He decided it was time to head home and start teaching history again. This was big news to the rest of the band, and not necessarily welcome. They hit the brakes, returned to Chicago, and examined their circumstances. How to proceed? Chicago engineer Manny Sanchez offered his own IV Lab Studio to start work on the next album. 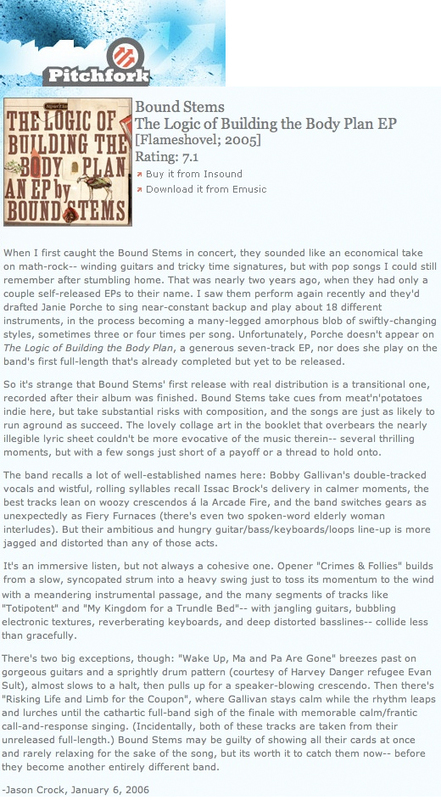 Bound Stems recorded two roaring new singles-"Sugar City Magic" and "Hooray Madame Corday! 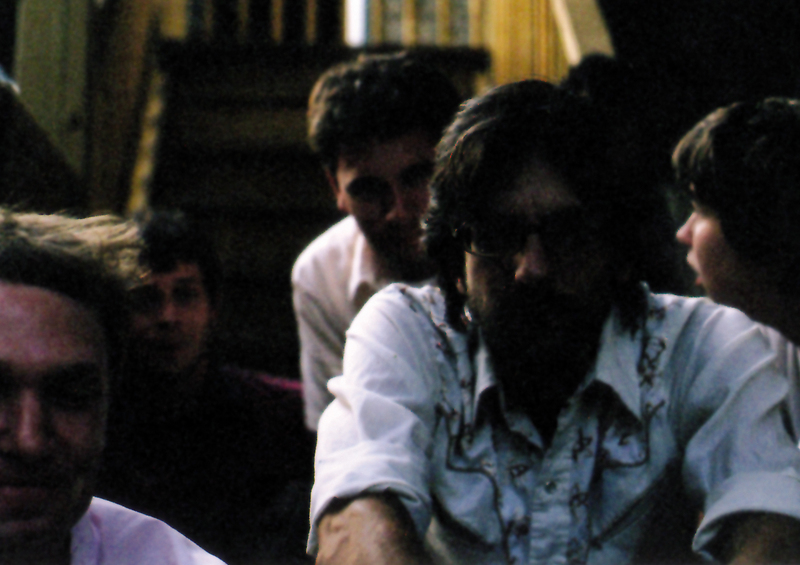 "-and then hit a wall: despite the hot musical start, the band was still internally at odds. They kept their distance from each other, re-started their careers, and wondered what role music would end up playing. Radz holed up to make epic twenty-minute drone and blip compositions, and Bobby sketched out songs he wasn't sure the band even wanted to play. It got to be winter in every way. It was the songs themselves that warmed Bound Stems back up. Radz's arcane audio experiments began to reach out across Bobby's melodies and chords�and all at once the album started to write itself. 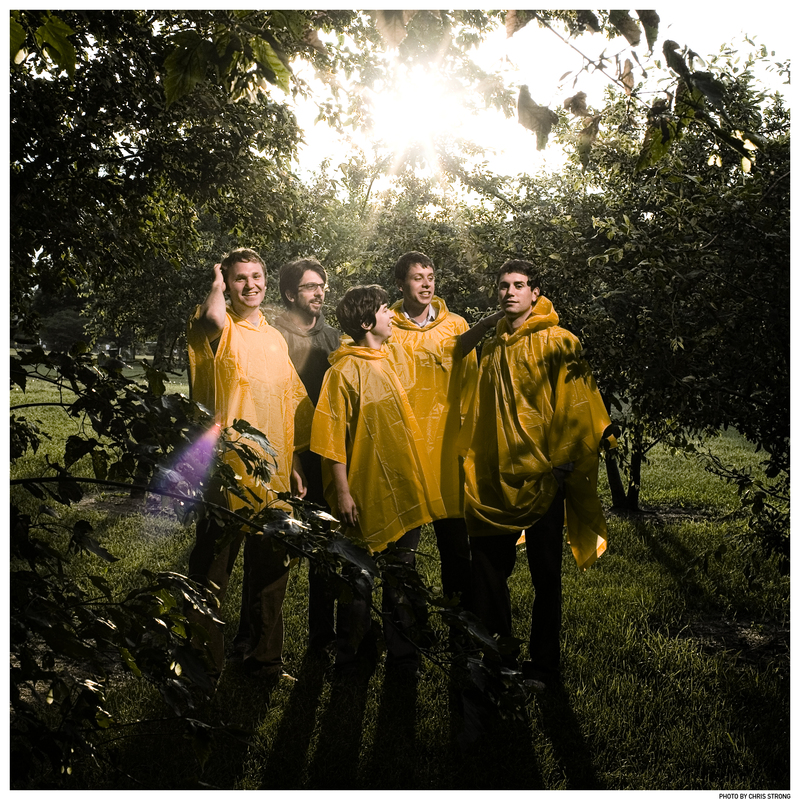 The band threw themselves into the detailed craftsmanship that makes their compositions so architectural and huge: parts and plans pile atop one another, and stories echo and accumulate across songs. The characters in "The Family Afloat" are newly inflected, and so are the sounds: "Taking Tips from the Gallery Gang" rides the �60s harmonies of Harvey Danger's Sean Nelson into a joyous finale as much Dylan as Graceland. 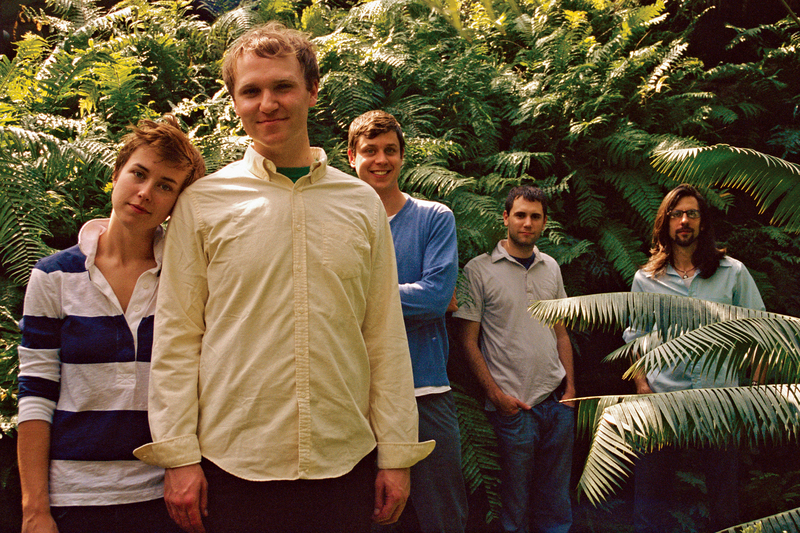 "Passing Bell" feels like a summer city night out; "Winston" wavers and flickers like a filmstrip. "Clear Water & Concrete" arrives via cartoon steamboat, and typewriters and telegraphs clatter under the gorgeous melancholy of "Only Clementine Knows." Bobby's lyrics flash with new perspectives: "Happens to Us All Otherwise" shivers with coiled tension and busts loose with a cathartic, joyous chorus: "It took me years for these words," Bobby hollers, "years to admit I was RIGHT!" "Tell me: what became of your family?" inquires the narrator of "Palace Flophouse and Grill," as a whirlwind of voices argue, confide, split apart and converge all around him. The climactic rise of "Cloak of Blue Sky" gives full voice to the doubt and fears that darken the horizon, before crashing through the clouds and into the sunlight. 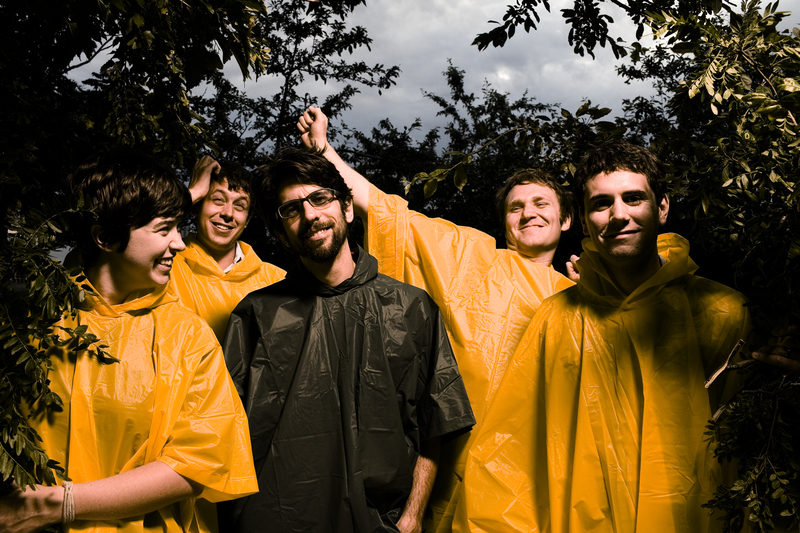 By the time Radz's ragged keys suddenly part for Fleury's triumphant guitar on closer "Sugar City Magic," the album has reclaimed the band that made it. "My father came to shake my hand," Bobby sings at last: "Take care of the family." Like any good story�like any good life�the rewards of The Family Afloat had to be rightfully earned in order to be rightfully enjoyed. The payoff is huge: by facing the conflicts that make a child an adult, Bound Stems discovered the way a band becomes a family. "On opener "Crimes and Follies," a driving, bluesy stomp backs frontman Bobby Gallivan as he lingers, unsure of a romance that"s rapidly progressing beyond his control. "At the end of the night," he coos, "we"re crawling up the stairs together with a secret inside." Then the track slips off into a pensive, sparse pause that mimics the situational uncertainty. "Crashed around the room, she"s egging me on / Smile politely but I"m too ambitious," Gallivan relates over slow-building snare taps. "We spent the morning kissing on the floor / We entered casually but left a wreck." 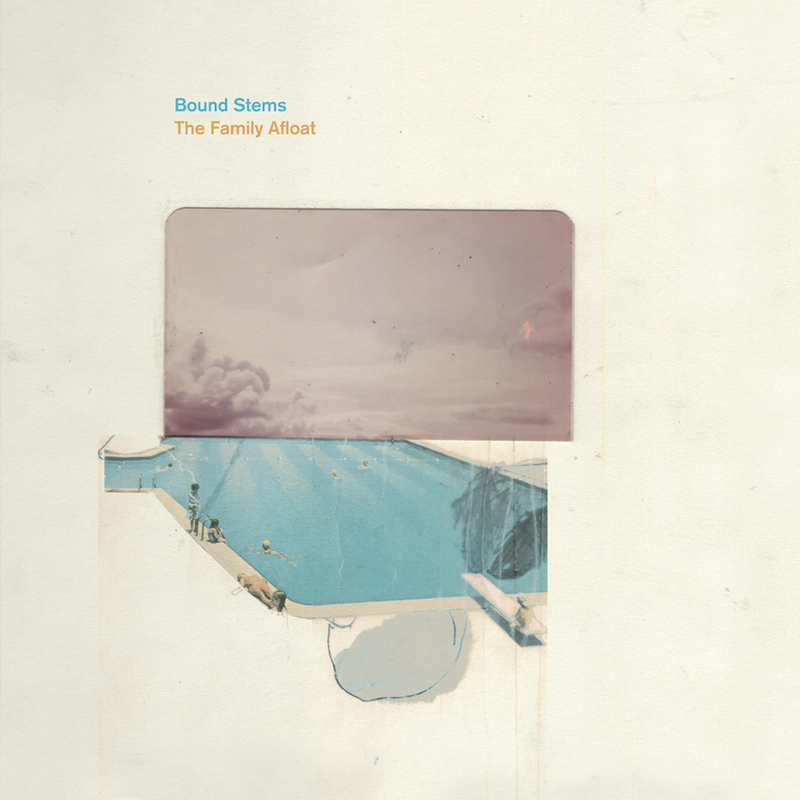 The meandering storytelling is even more effective on the searing "Wake Up, Ma and Pa Are Gone," which takes off around the supercharged line, "It all comes down to a moment like this / When I"m leaving for something bigger than us." 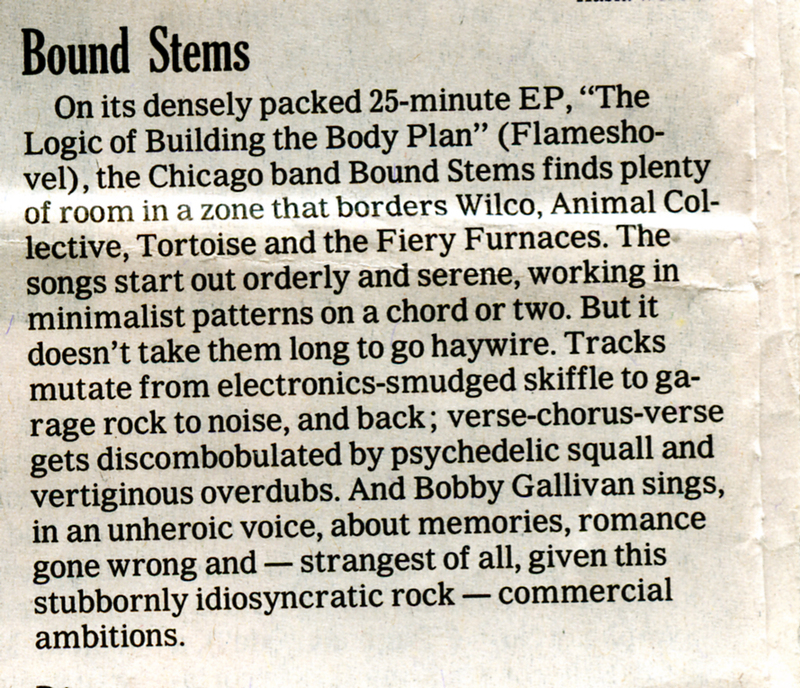 "On its densely packed 25-minute EP, The Logic of Building the Body Plan (Flameshovel), the Chicago band Bound Stems finds plenty of room in a zone that borders Wilco, Animal Collective, Tortoise and the Fiery Furnaces. 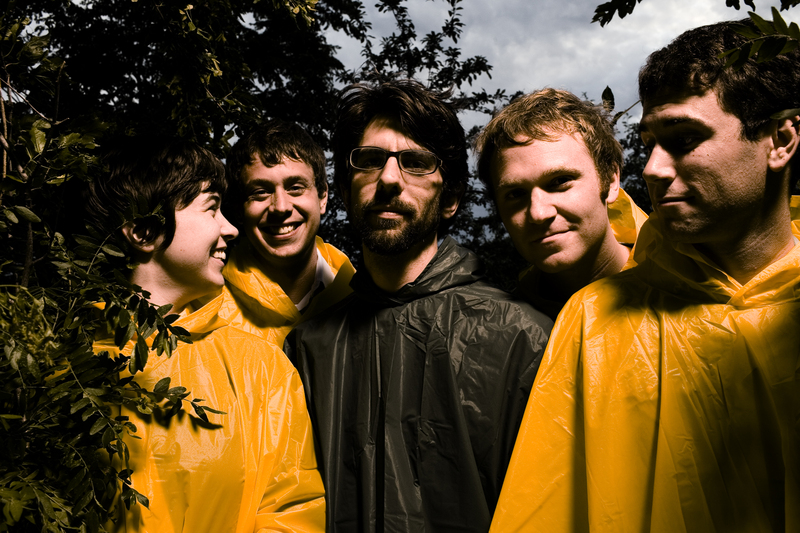 The songs start out orderly and serene, working in minimalist patterns on a chord or two. But it doesn"t take them long to go haywire. Tracks mutate from electronics-smudged skiffle to garage rock to noise, and back; verse-chorus-verse gets discombobulated by psychedelic squall and vertiginous overdubs. And Bobby Gallivan sings, in an unheroic voice, about memories, romance gone wrong and - strangest of all, given this stubbornly idiosyncratic rock - commercial ambitions." 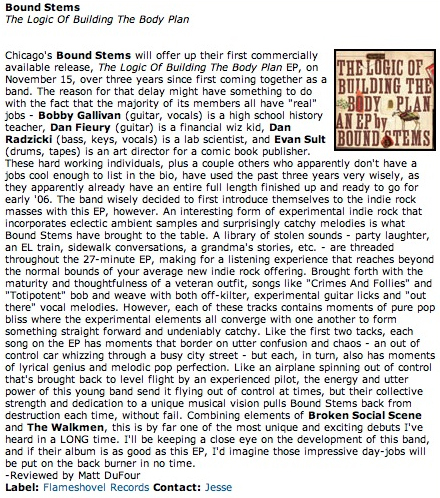 "[The Logic of Building the Body Plan EP is] an immersive listen..."Wake Up, Ma and Pa Are Gone" breezes past on gorgeous guitars and a sprightly drum pattern (courtesy of Harvey Danger refugee Evan Sult), almost slows to a halt, then pulls up for a speaker-blowing crescendo. 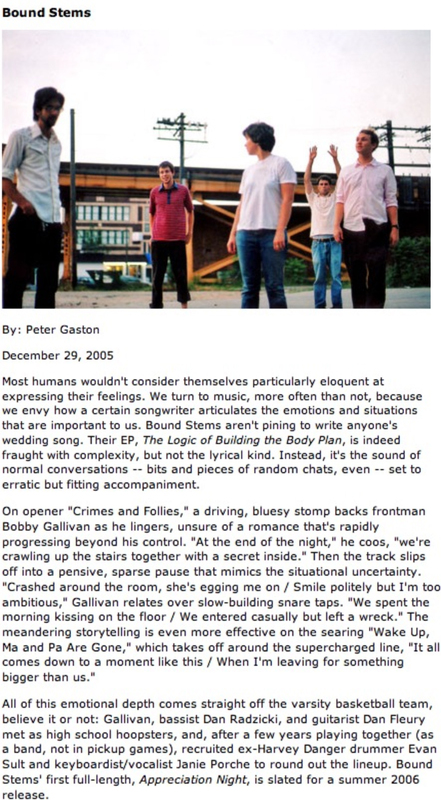 Then there"s "Risking Life and Limb for the Coupon," where Gallivan stays calm while the rhythm leaps and lurches until the cathartic full-band sigh of the finale with memorable calm/frantic call-and-response singing...catch [Bound Stems] now -- before they become another entirely different band." 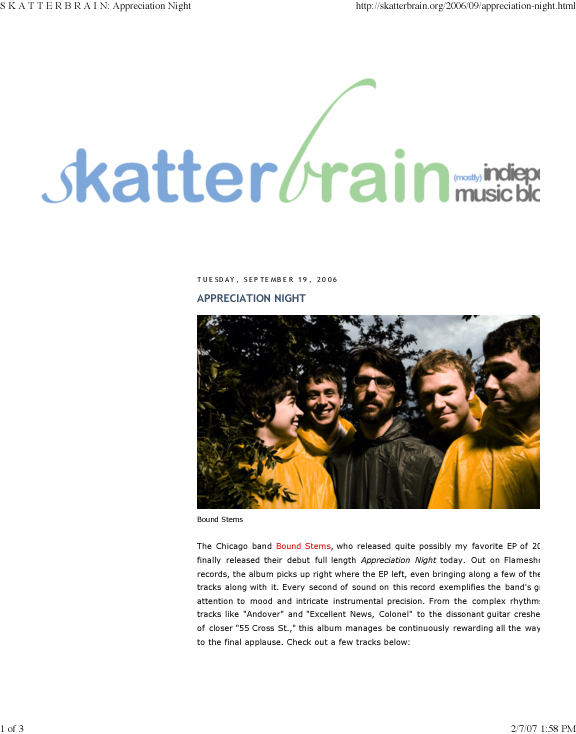 "A woozy triumph featuring quivering vocals, ragged distortion, and train-track drums, the song follows its haphazard trajectory to arrive at a blissfully imperfect indie-rocking whole." 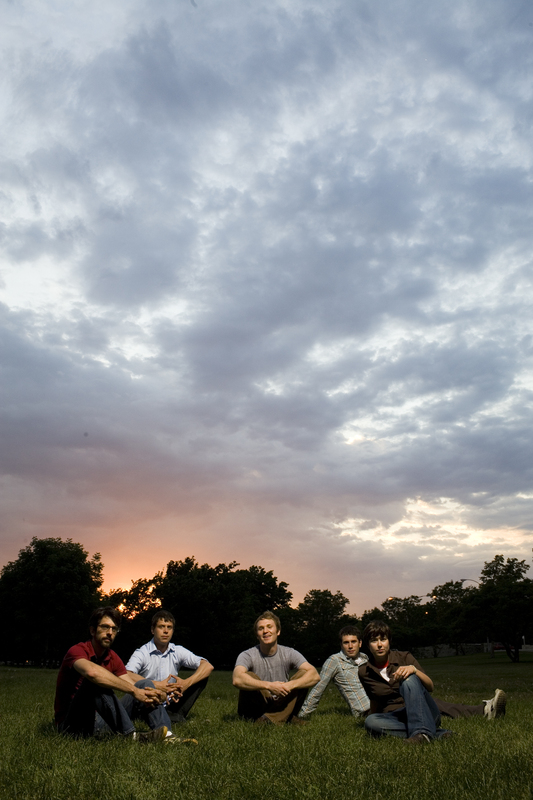 "The music is smart and ambitious incorporating a tongue-tying jumble of lyrics on "My Kingdom For A Trundle Bed" and a collage of field recordings on the two part "Up All Night," but it"s also emotionally super-saturated, achieving post-rock"s complexity without its aridity or pretension - this is clearly a band bound for greatness, or at least bigness." 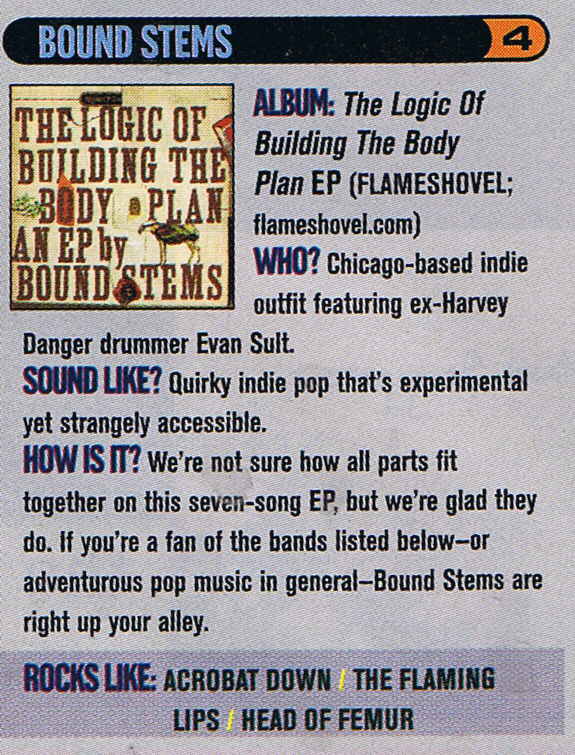 "Quirky indie pop that"s experimental yet strangely accessible...if you"re a fan of [The Flaming Lips]-or adventurous pop music in general- Bound Stems are right up your alley." 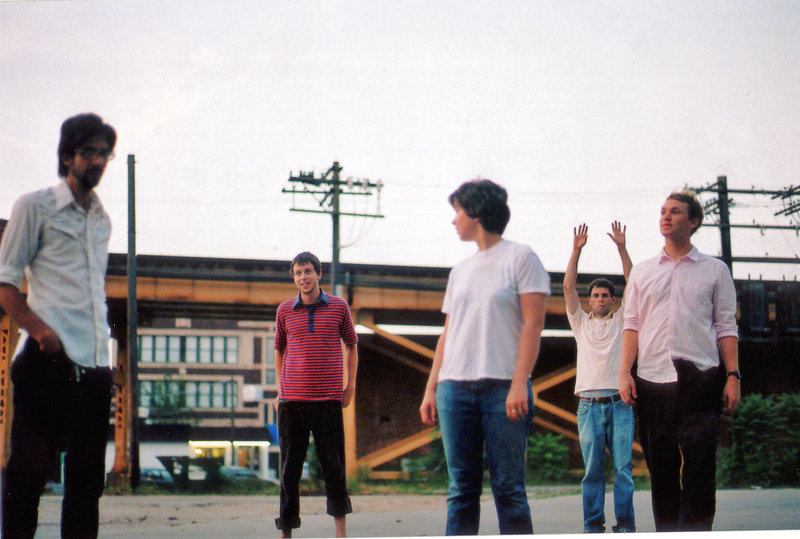 (Top 45 Chicago Artists) "The math-rock-tinged indie-pop band"s 2006 record "Appreciation Night" was a bafflingly complex testimony of what pop music could be--a wildly imaginative full-length debut that was really a hundred-song album." 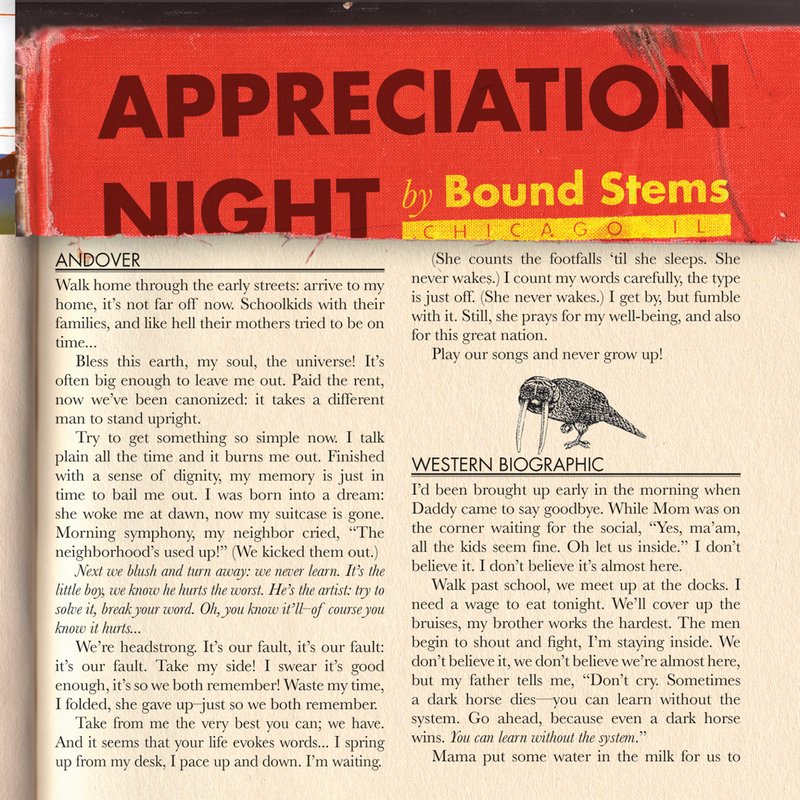 "The array of sounds on Appreciation Night is dizzying, not unlike the whirlwind approach of Broken Social Scene, and like that Canadian collective, Bound Stems most certainly has a problem sitting still for too long. 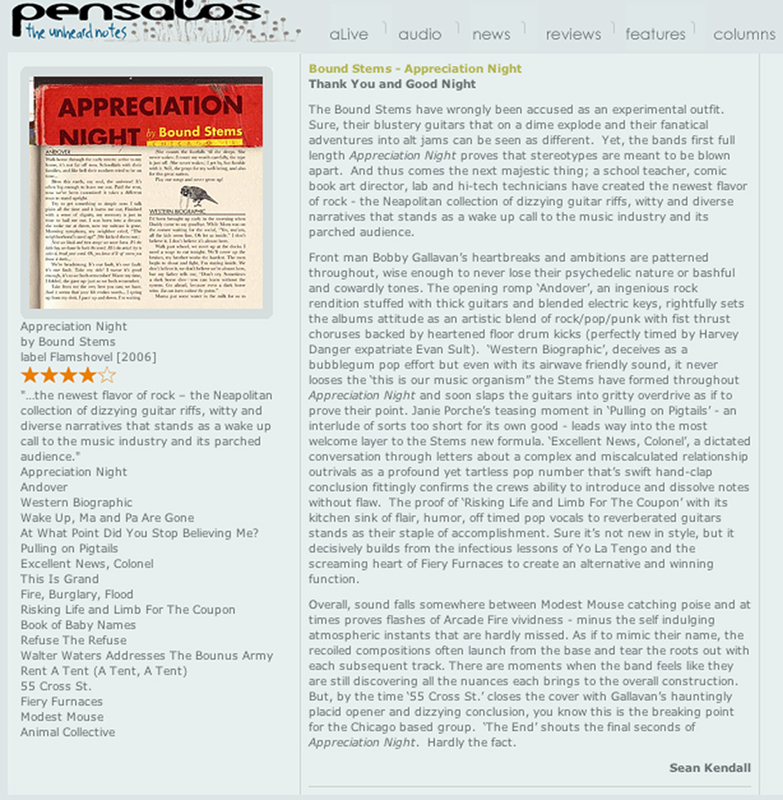 Because of this notable fact, Appreciation Night is a startlingly diverse and adventurous set of music, in addition to being an energetic and touching homage to their home." 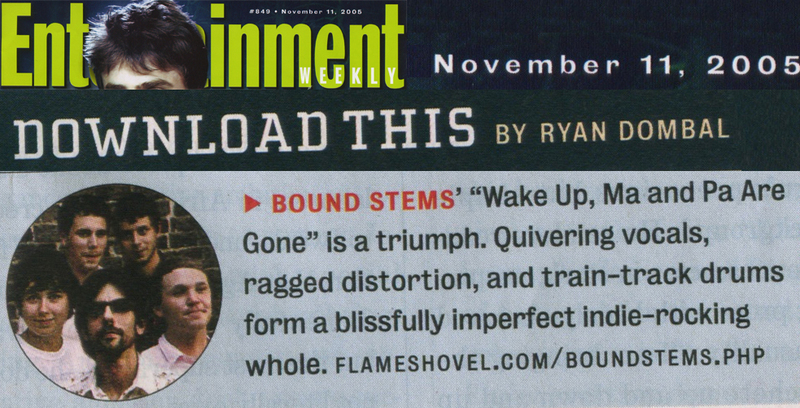 "[Bound Stems] have created the newest flavor of rock - the Neapolitan collection of dizzying guitar riffs, witty and diverse narratives that stands as a wake up call to the music industry and its parched audience." "From the complex tracks like "Andover" and "Excellent News, Colonel" to the dissonant guitar crescendo of closer "55 Cross St.," this album manages to be continuously rewarding all the way to the final applause." "...each of these tracks contains moments of pure pop bliss where the experimental elements all converge with one another to form something straight forward and undeniably catchy." 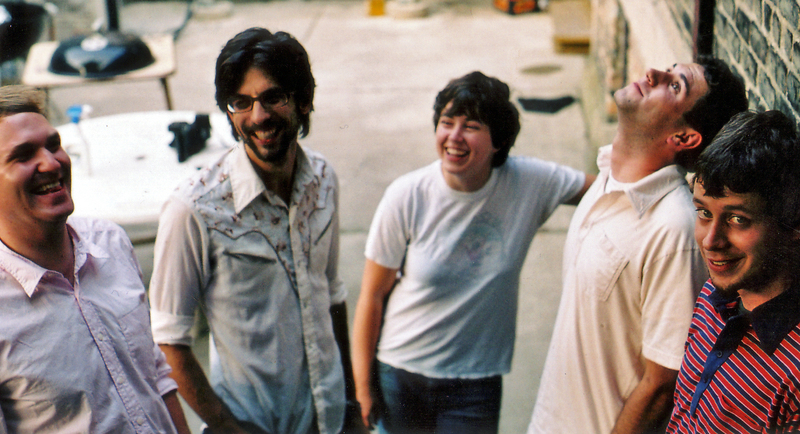 "Listen to [a Bound Stems] songs like "Wake Up, Ma and Pa Are Gone" and "Risking Life & Limb for the Coupon," two of the EP"s best tunes, and you"ll hear the ratty pages of a crinkled and ink-worn notebook that chronicles the life and blood of this band." 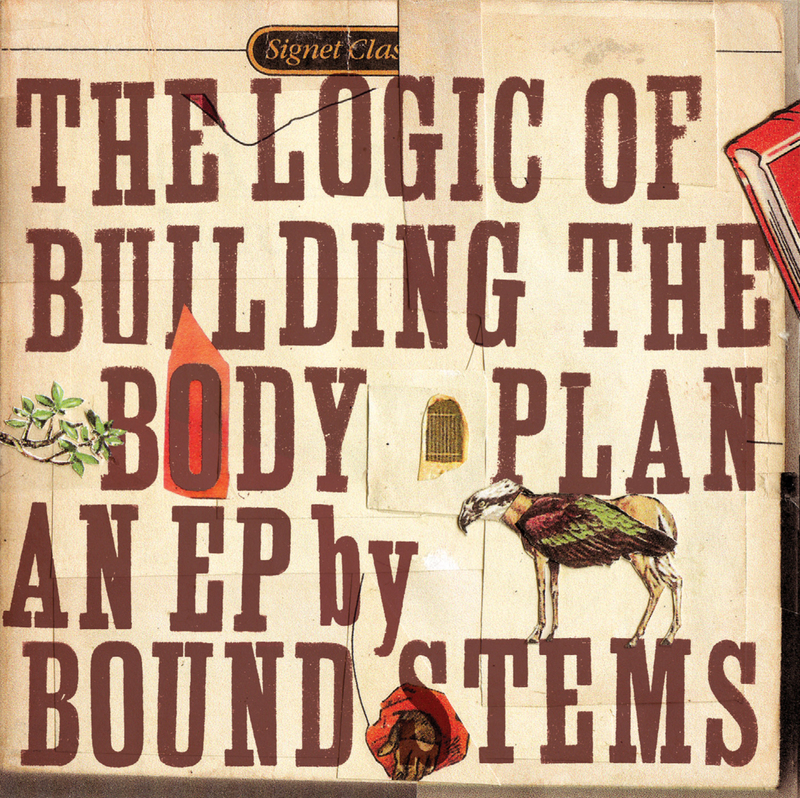 "The Logic of Building the Body Plan is a challenging listen with its dissonant guitars, choppy time signatures, strangled vocals, and "found" samples of bizarre conversational snippets. 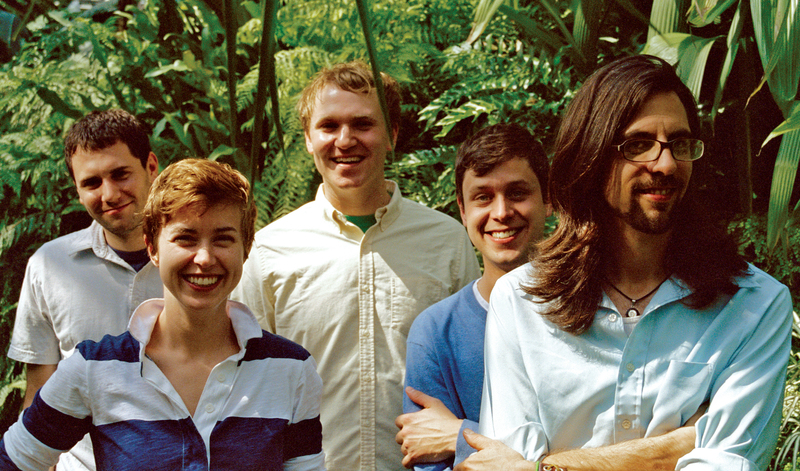 This EP has as much in common with King Missile as it does Yo La Tengo, with a little bit of the geekiness of the Dead Milkmen and the cut-and-paste studio sounds of Beck thrown in for good measure."